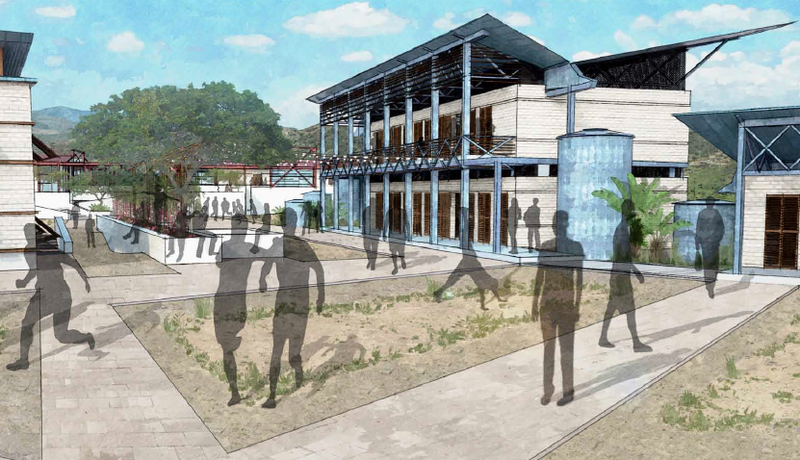 Our Architects Without Borders project, a large campus-style secondary and trade school outside of Cabaret, Haiti, is coming to a conclusion! We’ve been working for over a year to provide drawings and images for the Brothers of the Sacred Heart, our client and current administer of eight other schools throughout Haiti. These images describe a large, rural, 3,000 student campus-style secondary and trade school. The program includes classroom buildings, science labs, and shop space, along with dormitories, a chapel, auditorium, and cafeteria. Community and sustainability are hallmarks of this project – fundamental ideas inherent in the campus layout that impact the landscape and building designs. Such a school would provide a continuous stream of graduates, bringing the benefits of an educated population into the community, affecting both the immediate area of Cabaret, and Haiti, country-wide. It is our hope that these drawings will help the Brothers describe their vision of this community to potential partners and funders. The drawings show a campus arranged in identifiable and interconnected communities, drawing on historical “lakou” arrangements found in rural Haiti. The architecture further shows buildings and a landscape utilizing sustainable design concepts. 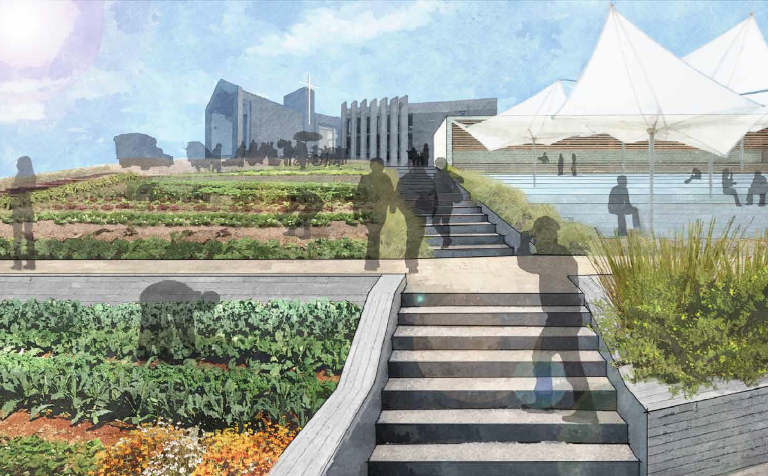 Our project aims to revitalize the landscape; to capture and direct water with streambeds and cisterns; to provide learning and engagement opportunities to students, staff, and guests. Buzz is the Project Manager for the project, aided by a competent and committed team of volunteers. CTA Design Builders is pleased to have provided meeting space and support services. Please feel free to view the project below. The introduction explains our goals and identifies our team members, and the following pages present the project in terms of what we have to work with, how we will do it, and what it all will look and feel like.